Oh well. 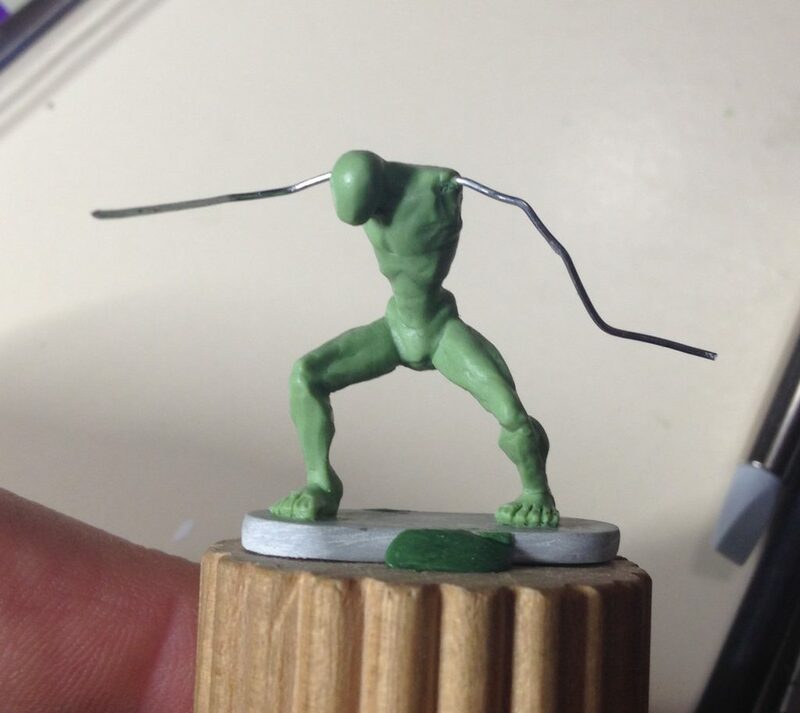 I worked on the second of my two current sculpting projects. 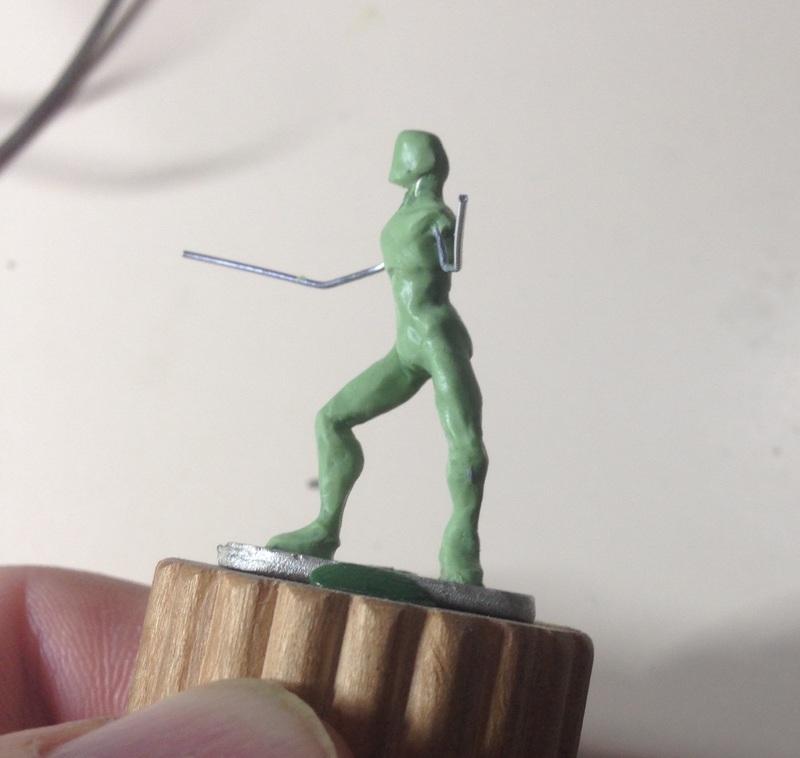 I added lower body muscle mass and worked on the feet. I also had a thought… I think I will mix up a softer mix of my Fimo tomorrow. I’ll try this mix as I move on with this project. I’ll let you know how it goes. 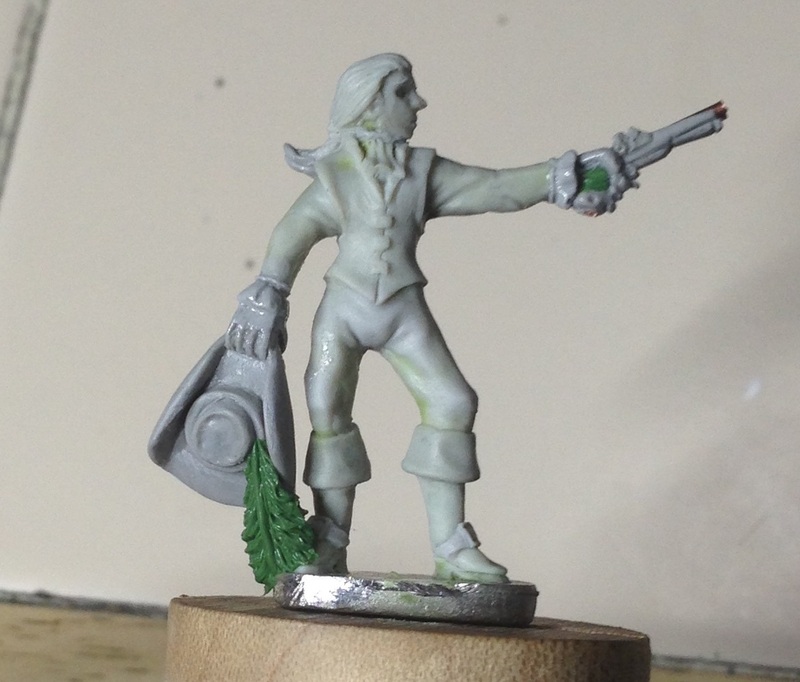 I continued tuning the sculpt and added the start of the coat. 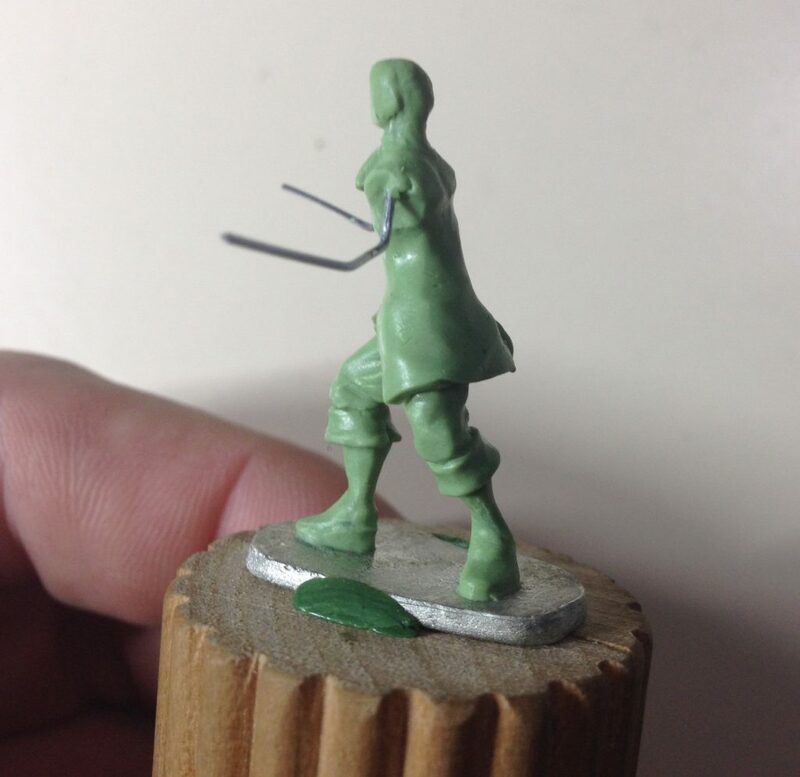 I also added the beginnings of the boot details. 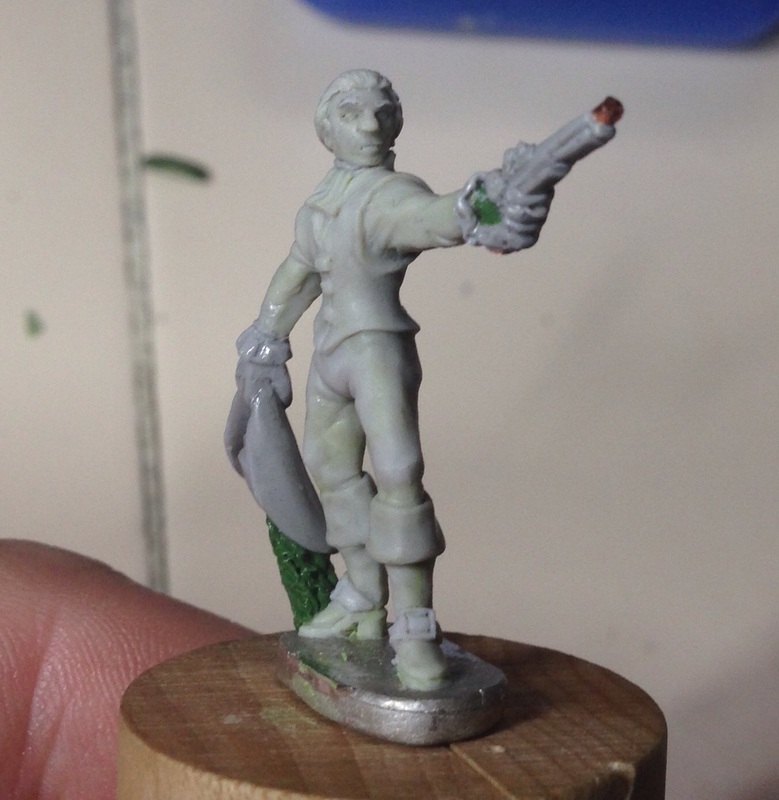 I also started another mini as I previously mentioned. 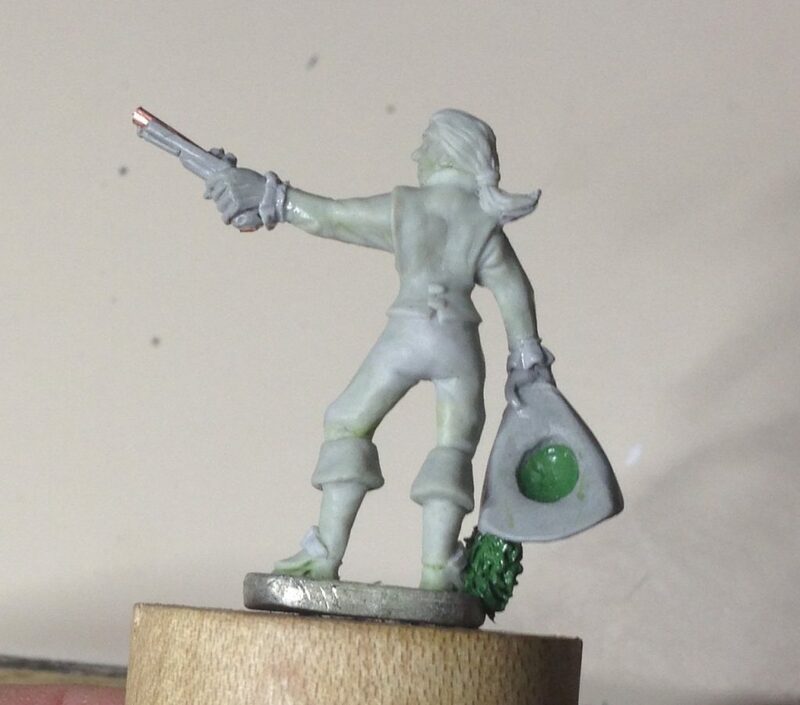 Day 19 saw adding the greenstuff and clay. 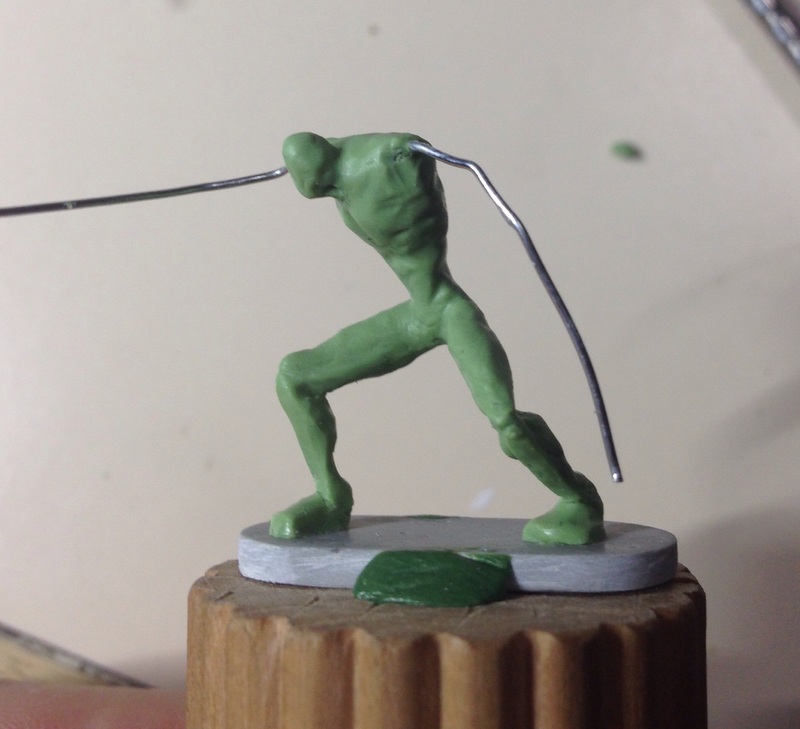 After that I did some bulking up of the armature. 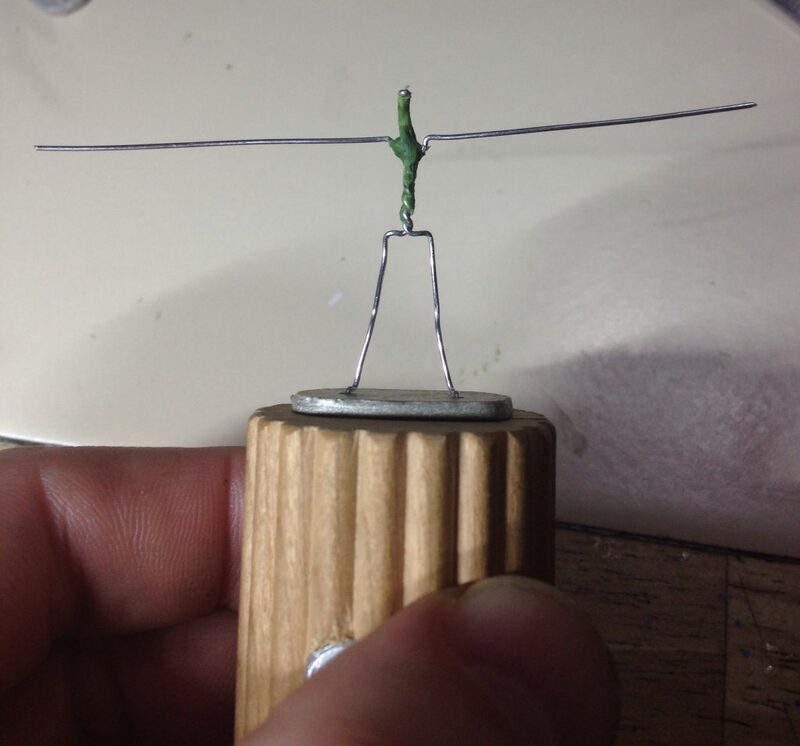 I also made another armature for another miniature but I didn’t take a picture. It will be in the update tomorrow… Hopefully. 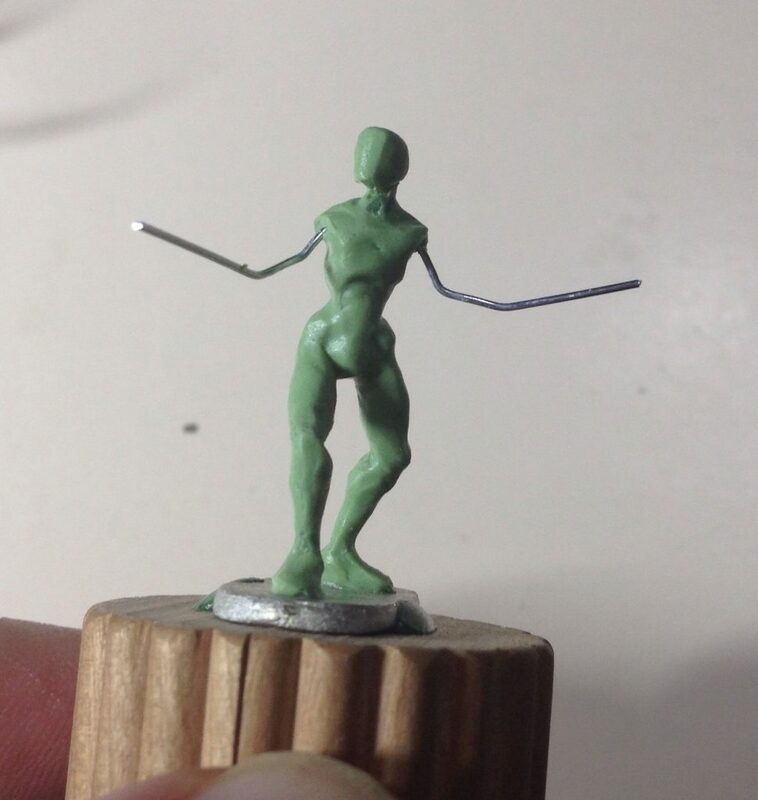 I need to start a new figure but I’m at a loss of what to sculpt. 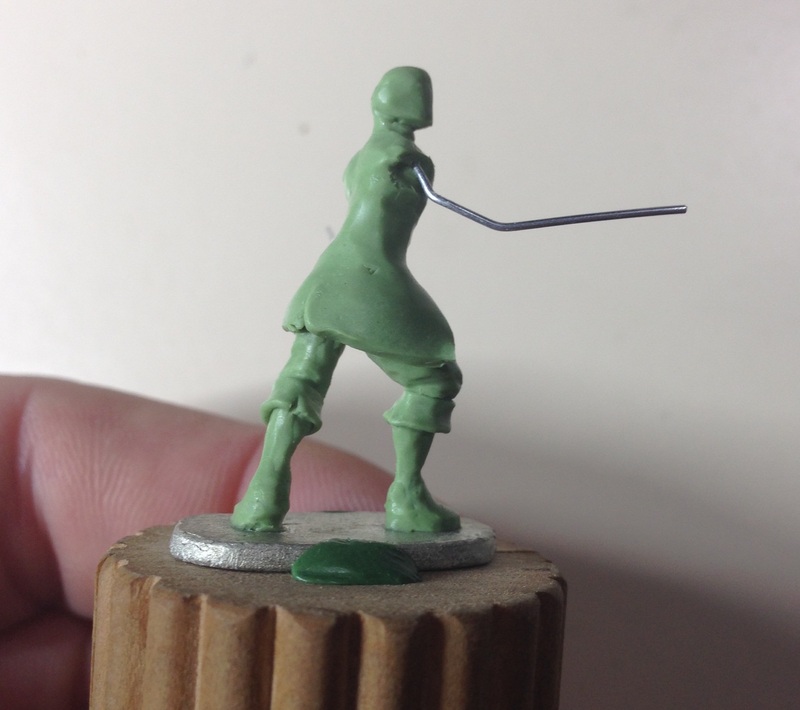 So, I started by making an armature and drilled a base for it. 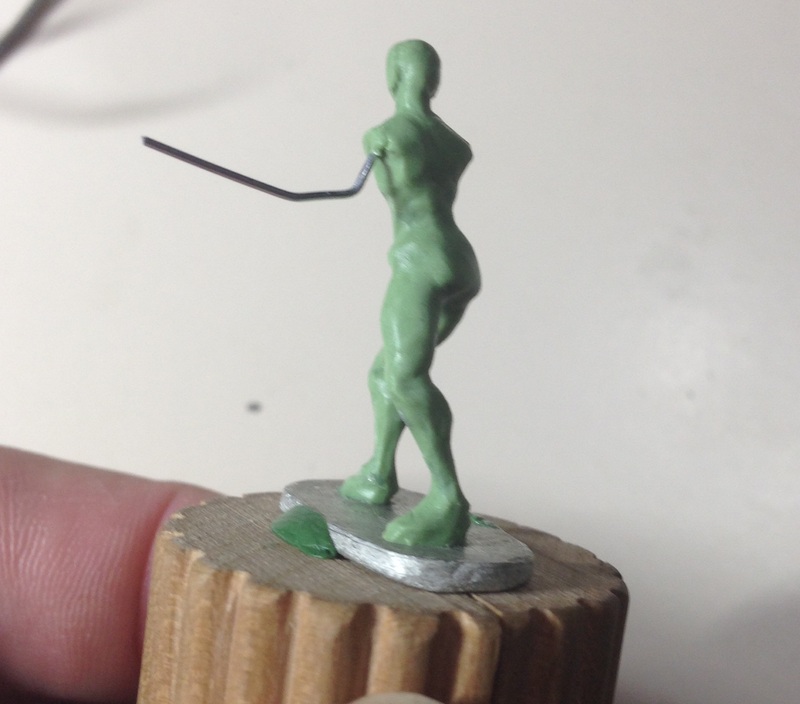 I’m going to try out one of the new sculpting handles that I made. 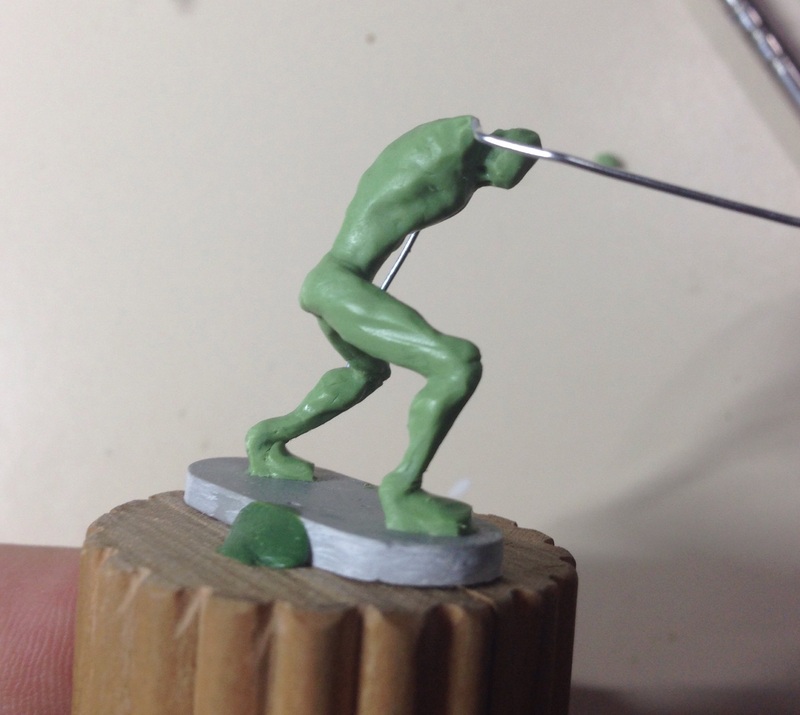 He is done. 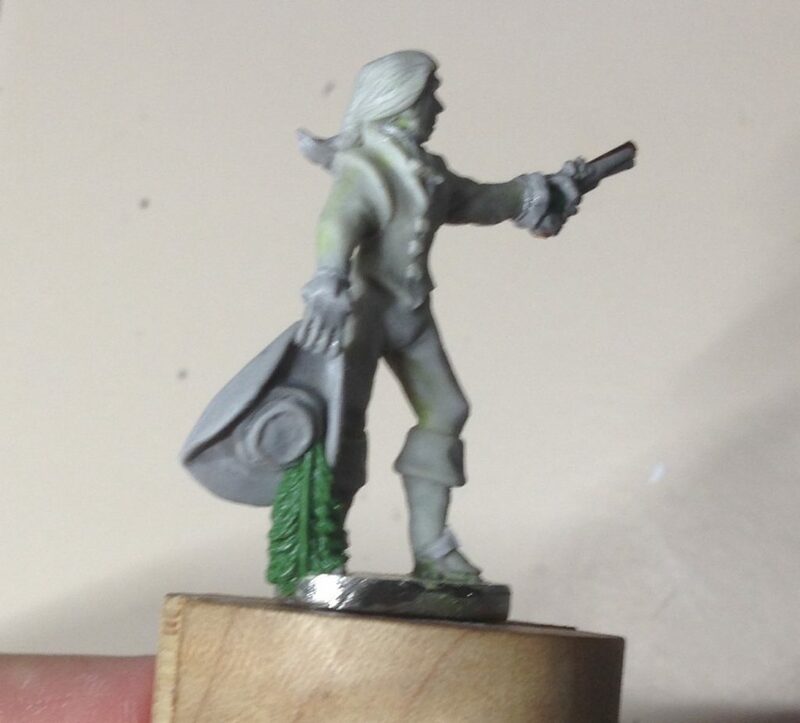 Or at least, I’m done working on him. 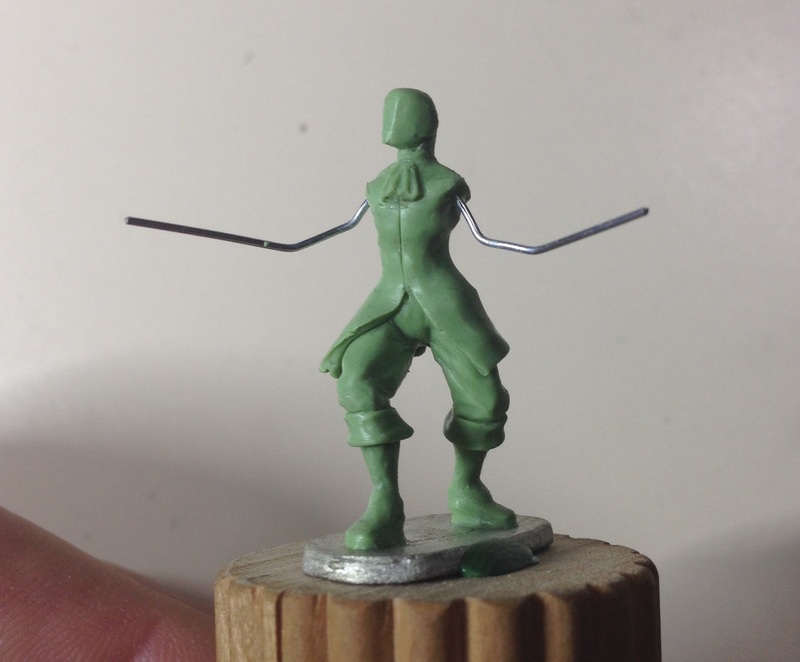 Looking closely, I can see several areas that could use work/improvement/re-sculpting but I think it’s time to move on. He’s not bad and I think he will cast well. Now. 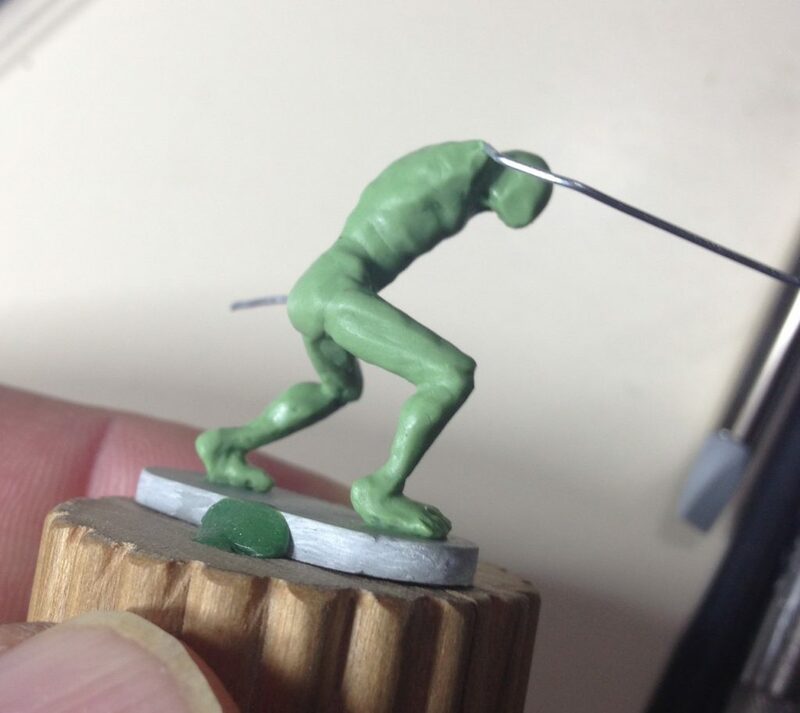 What to sculpt next?